"A hero in everyday life"
We honor Mark Bingham, passenger of Flight 93, which did not reach its target. Mark have been one of the responsible for bringing the airliner down. His sexuality is being suppressed by the media in their reports. In the face of this tragedy, we need to honor our heroes. 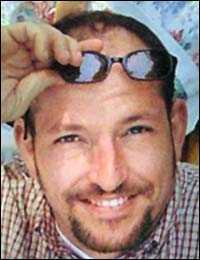 Mark Bingham, 31, of San Francisco, a gay rugby player, owned The Bingham Group, a public relations firm with offices in New York and San Francisco. Mark was supportive, inspiring, insightful, hilarious, at times obnoxious, always smart and endlessly loyal. He was a hero in his ability to make sure no one ever felt left out. He was a hero with his contagious zest for living. He was a hero to his own family. And he was a hero to countless other families who woke up this morning and had breakfast with each other because of his actions. Whether it was racing across traffic to save a wayward child or running with the bulls or developing a public relations campaign, Mark Bingham was ready. "He would say, 'Oh, well, this is an excellent opportunity to learn fill-in-the-blank,' and he meant it," said his friend Brian Johnson. Mark Bingham struggled for years to integrate two aspects of his life, his friends said: He was a physically robust man who delighted in the rough-and-tumble sport of rugby, and he was gay. In the last few months of his life, he had finally put those halves together, joining a gay San Francisco rugby club. He played in a tournament in Washington this spring, where ruggers from this city's gay team got to know him a bit. He found out a few days before his death that his young team, the San Francisco Fog, had been accepted as a permanent member of a Northern California rugby league involving mostly straight teams. "When I started playing rugby at the age of 16, I always thought that my interest in other guys would be an anathema - completely repulsive to the guys on my team - and to the people I was knocking the s--- out of on the other team," he wrote to his teammates in a celebratory e-mail. "I loved the game but knew I would need to keep my sexuality a secret forever. I feared total rejection. As we worked and sweated and ran and talked together this year, I finally felt accepted as a gay man and a rugby player. My two irreconcilable worlds came together." Mark Bingham, from every report and tribute, sounds like a stand-up guy. The kind of good-hearted and courageous person you want on your team. We know he was part of a group of passengers that have successfully kept the plane from hitting it's target. What most do not know is that Mark Bingham was an out gay man. Bingham, a strapping, 6-foot-5 college rugby player was aboard United Airlines flight 93 when it was hijacked en route from Newark, N.J., to San Francisco called his mother and told her the plane was being hijacked. He called his mother, Alice Hoglan, 15 minutes before the plane crashed and told her that the plane had been taken over by three men who claimed to have a bomb. Hoglan said her son told her that some passengers planned to try to regain control of the plane. Mark called from the cabin, ringing his aunt Kathy's home in the Northern California city of Saratoga at 6:35 a.m. He hung up - or the line went dead - and he called back. "Hi Kathy,'' Mark said, as his aunt (his father's sister), recalled the conversation. "It's Mark. I just wanted to tell you that I love you and that I love all of you in case I never see you again. I'm on a plane that's being hijacked.'' Kathy said she was "groggy and shocked and scared,'' and she turned to get something to write on. She bumped into Mark's mother, Alice, who had also come to answer the phone, and put her on the line. "Mom,'' her son began, "this is Mark Bingham. I love you very, very much". Mark Bingham is now name recognised the world over after his face and words were tragically splashed across the media after he was caught in the shocking terrorist attacks to hit the United States. Bingham was hailed as a hero by reports after his actions aboard United Airlines flight 93. As the facts emerge from the events of that horrible day it is evident that the passengers on flight 93 knew of the events in New York and took it upon themselves to attack the hijackers and force the plane down in an unpopulated area. Alice Hoglan and her sister-in-law, Kathy Bingham, found themselves clinging to one sliver of comfort in an experience they likened to hell on earth. They got to say goodbye to Alice's son, Mark Bingham. Forty-five people lost their lives when it crashed near Pittsburgh. Scott Yungling played rugby with Mark who was a member of the San Francisco Fog and had this to say of the relationship: "Out of four planes that were hijacked, the plane Mark Bingham was on failed to hit its target, is no coincidence. "Mark was part of the attempt to take back the plane. He refused to give in to fear, and saved many lives. The enthusiasm and strength of the brawny, 6-foot-4 rugby player leave no doubt in the minds of family and friends that Bingham was was among those who tried to thwart highjackers from aiming United Airlines Flight 93 at a heavily populated area. The plane crashed in the southwest Pennsylvania countryside. "He was this physically imposing but incredibly compassionate and intelligent man who would not have stood by and let terrorists kill thousands more people," said Bryce Eberhart, a teammate of Bingham's on the San Francisco Fog, a gay men's rugby team. "He had one of the most adventurous spirits I had ever met," he added, noting that Bingham had run with the bulls in Pamplona, Spain. Once, Bingham pulled over on his way to work to whisk a youngster out of the path of oncoming traffic. Another time, he spent hours helping a neighbor fix her telephone, Johnson recalled. "Mark," he said, "was a hero in everyday life." By now, many of us have heard of Mark Bingham. He was one of the passengers on United Flight 93, the hijacked airline that was crashed in a wooded area of Pennsylvania last Tuesday. We have been soaking up details from the media coverage in our grief, trying to gain some sense of control in relationship to this event which has shown us how little control we may have over our destinies. A really unAmerican idea. We take extra interest in the few who seemed to take some of the control back last Tuesday, on the one flight that crashed in an unpopulated area. Mark Bingham may have saved the White House. And may even receive the Presidential Medal of Freedom. But he could not have served in the military. If he were one of us rather than one of the passengers on flight 93, he could not donate blood nor be conscripted should it come to that. We've each got our own mental picture of what the moment of crisis looked like on flight 93. The scene makes it pretty clear that the brave passengers who attacked their captors had more pressing matters on their minds than Mark Binghams sexual orientation. Why does U.S.A. not yet understand that this would not be any different in war. The U.S. remains one of only two NATO members that keeps gays and lesbians from honestly serving their country. Some may say that it's irrelevant the sexuality of this man, hero or not. And that there's no point in bringing it up. Mark's sexuality should be irrelevant, but to the U.S. Military it's not. September 11th changes everything, why not the status of gays in the military? Now, more than ever, we need Mark Binghams. Maybe one thing we'll learn from this tragedy, whether it's from the terrorists or the Mark Binghams, is that it's what you do, not who you are that counts. The story of Bingham's possible heroics became the subject of national television and newspaper reports this week when his mother, Alice Hoglan, a United Airlines flight attendant, told of how Bingham called her on his cell phone to say his plane had been hijacked. Hoglan said her son's reputation for fighting for civic justice, along with a past episode where he fought off muggers, leads her to believe that he took steps on the United flight to prevent the terrorists from taking the hijacked plane to its intended target. U.S. government officials have speculated that the terrorists planned to crash the plane into the presidential retreat in Camp David, Md., or possibly into the U.S. Capitol Building. "The fact that he was so close to the action, it is likely that he was able to get at these guys," she told the Associated Press. "It gives me a great deal of comfort to know my son may have been able to avert the killing of many, many innocent people." Another passenger on the flight, Thomas Burnett, of San Ramon, Calif., called his wife and said that he and two other passengers had decided to try and wrest control of the plane from the terrorists. "I know we're all going to die - there's three of us who are going to do something about it," Burnett told his wife. Bingham was sitting at the rear of the first class cabin, but it was unclear where Burnett was sitting and whether Bingham was one of the other two men mentioned in his brief call. Hoglan said she believed the call from her son came 10-15 minutes before the plane crashed near Pittsburgh. The San Francisco gay sports organization Outsports reports on its Web site that Bingham, 31, was a member of a local gay rugby team and planned to organize a rugby team for next year's Gay Games in Sydney, Australia. Outsports called Bingham "a warm, friendly, smart, handsome man who welcomed people into his life... He was a member of our community." A sales and marketing worker, an executive, a Sunday school teacher: Together they apparently rose up against terrorists, saving hundreds of lives. What makes a hero in a moment? No one knows exactly what happened in those final frantic moments last Tuesday morning 10,000 feet above the tiny western Pennsylvania town of Shanksville. Until information from the black boxes is analyzed, all we have to go on are newspaper and television interviews with relatives of some of the passengers. There was pandemonium aboard United Airlines Flight 93. Armed with ceramic knives, box cutters and razors, four men wearing red headbands and speaking with Middle Eastern accents had killed a passenger, rushed the cockpit, injured both pilots and were flying the plane. The remaining passengers and crew were split into two groups - a few to the first class compartment, but most to the galley in rear of the plane. One of the hijackers, the one watching the passengers in the galley, had a small red box tied to his waist with a belt. He said it was a bomb. And then bad got worse. Flight 93, which took off from Newark bound for San Francisco with 45 passengers and crew, made an abrupt, unscheduled U-turn near Cleveland and headed east. According to the Washington Post, the hijackers announced that the Boeing 757 was headed to Washington, D.C. And in a decision that would apparently lead to the undoing of their plan, they allowed passengers to call home and say goodbye to their loved ones. That's when something apparently clicked inside several of the passengers - some desperate feeling of defiance - and these ordinary travelers became national heroes. Thomas Burnett Jr. called his wife, Deena, several times. He told her to call 911 and described what was going on in the plane. She told him of the World Trade Center attacks minutes earlier. Other passengers got the same news. After passenger Jeremy Glick learned that the reports were true, he left his cell phone for a few minutes and then returned to the line. According to the Bergen (N.J.) Record, Glick told his wife to take care of their newborn daughter, and to take care of herself and have a good life. Because he and a few others were going to storm the cockpit. The men, he said, had voted to attack the terrorists. The Pittsburgh Post-Gazette reported that Todd Beamer called a GTE Airphone operator and said he and a group of men in the rear of the plane planned to jump the hijacker guarding them -- the one who said the box strapped to him was a bomb. They knew they were going to die, Beamer said, but wouldn't go down without a fight. "Are you ready?" the operator heard Beamer ask fellow passengers. A few seconds later, he said this: "Let's roll." What happened next is unclear. It may remain unclear forever. After making a number of odd maneuvers in midair -- indications of a struggle to gain control of the plane -- Flight 93 slammed nose-first into a reclaimed strip mine near Shanksville, Pa., killing everyone on board. It was the only one of four jetliners hijacked that day that did not strike a target, and officials now say the actions of the passengers saved hundreds of lives. At least three men, Glick, Burnett and Beamer, tried to retake control of the plane. Others, including Mark Bingham and Lou Nacke, also have helped. "There had to have been a struggle," said Rep. John Murtha of Pennsylvania, "and someone heroically kept the plane from heading to Washington." They weren't pilots or police officers or soldiers. They had no training in how to overwhelm hijackers. They didn't even know each other. Glick, 31, of West Milford, N.J., worked in sales and marketing for a technology company. Burnett, 38, of San Ramon, Calif., was the senior executive at a medical research company. Beamer, 32, of Cranbury, N.J., was a businessman and Sunday school teacher. Bingham, 31, ran a public relations firm in San Francisco, and Nacke, 42, was a toy company executive from New Hope, Pa., who had Superman tattooed on his left shoulder. "If we're going to crash into something... let's not let that happen," Glick told his wife. "Our best chance is to fight these people, rather than accept it." Passengers on Flight 93 had the advantage of time. Still, it was less than 45 minutes between when the hijackers revealed their intentions and the plane crashed. So what made Beamer, Glick, Burnett and others decide to fight back? What is it inside some people that makes them step forward in the face of what had to have been the most frightening situation they'd ever encountered? Ask Bruce Blythe, chief executive officer of Crisis Management International Inc., an Atlanta-based network of mental health professionals and former FBI agents who teach disaster preparedness and offer crisis counseling. His company, which has handled crises from the first World Trade Center bombing to Hurricane Andrew to the Oklahoma City bombing, has been swamped with calls since Sept. 11. Blythe is familiar with the story of the fight for Flight 93. He said when men and women are faced with a life-or-death dilemma, the first instinct is, of course, survival. But how that survival instinct manifests itself can vary. "One of three things happens," Blythe said. "If you can, you try to run and get away. That's what most people did at the World Trade Center. "The second thing is to freeze. If you can't run and just don't know what else you can do, you try to hide... under a desk, behind a wall. "If the first two don't work, the last response is to resist. To fight back. "The men on that plane had no place to run. They could have frozen, but as the situation escalated, they decided freezing wasn't an option." That have been because of what Glick, Beamer and Burnett were -- men in their 30s of medium to large build. They were physically imposing. Beamer was 6 foot 1 and 200 pounds, and Glick was a former national collegiate judo champion who stood 6-4 and weighed 220. Bingham, a former University of California rugby player, was even taller at 6 foot 5. The man apparently had personalties to match their size. "I know Tom's a fighter, so I'm not surprised he planned to save everyone's life," his wife, Deena Burnett, told the San Francisco Chronicle. "He kept focusing on what they were going to do." Doug Hurwitt, Glick's brother-in-law, said, "He knew that stopping them might end all their lives, but he was a take-charge guy." It's also likely, Blythe said, that Beamer, Glick, Burnett, Bingham and others may have known someone in a crisis -- or faced a crisis themselves -- and gave serious thought to what they'd do the next time. "They may have thought that next time, they were going to get up and do something," Blythe said. "A lot of this has to do with imagery, people who think that if this ever happens to me again, I'm doing something. "If you consider that, you're more likely to act effectively if it ever does happen." A person's personality -- outgoing or stoic -- isn't always an indication of how he will act in a crisis. "Heroes come from all walks of life," Blythe said. "Certainly there are some people who may think, "I need to do the right thing' but are too afraid. You have to overcome your own sense of fear to do the right thing. That's what heroes do. Despite the fact you may get killed or hurt, you're willing to put your life on the line. Your sense of duty overcomes your fear. "This is the person who says, "By God, I'm not going to give up control of my life to someone else. I've got to do something.' "
An openly gay pilot who held the position of first officer onboard American Airlines Flight 77 was among the crew and passengers who lost their lives Tuesday when terrorists hijacked the Boeing 757 jetliner and crashed it into the Pentagon. Also among the terrorists' victims this week was gay public relations executive and rugby enthusiast Mark Bingham of San Francisco, who contacted his mother by cell phone minutes before the United Airlines jet he was taking from Newark, N.J., to San Francisco crashed in the countryside in western Pennsylvania. The deaths of Bingham and American Airlines co-pilot David Charlebois, a resident of Washington, D.C.'s popular gay Dupont Circle neighborhood and a member of the National Gay Pilots Association, were two of many instances in which gays shared, firsthand, the nation's horror and grief following the terrorist attack on Sept. 11, that led to the destruction of New York City's World Trade Center and extensive damage to the Pentagon. Among the other openly gay people known dead as a result of the terrorist attack is Rev. Michael Judge, the New York Fire Department's Catholic chaplain. "He was a decent, wonderful human being," said New York gay journalist and commentator Andy Humm. "When gays were kept out of the St. Patrick's Parade, he gave me an interview on the street telling me how terrible it was for us to be discriminated against and for the church to be doing it. I saw him at many demonstrations for gay and AIDS causes, showing up in his Franciscan monk's cassock. And he was equally beloved by the Fire Department, there at every major fire tragedy in the city lending moral support to firefighters." "For he today that sheds his blood with me shall be my brother"